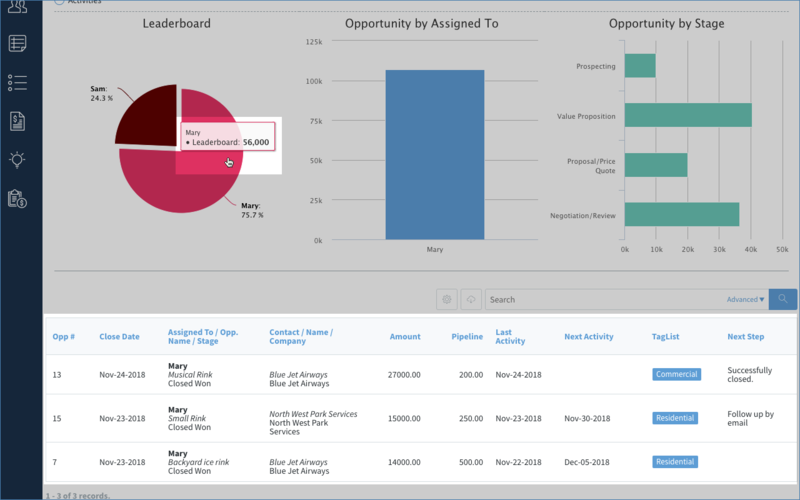 See an overview of your Sales Opportunities with charts and reports. 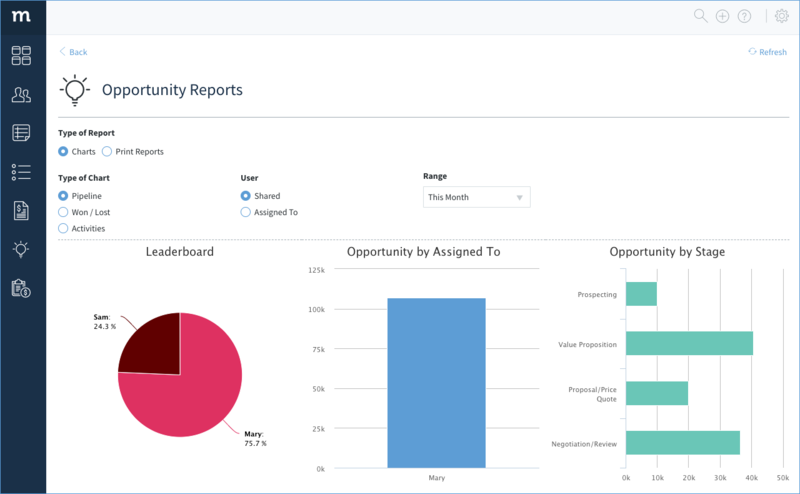 Charts and Reports are used to display information about your ongoing and completed sales opportunities, and the activities associated with them. 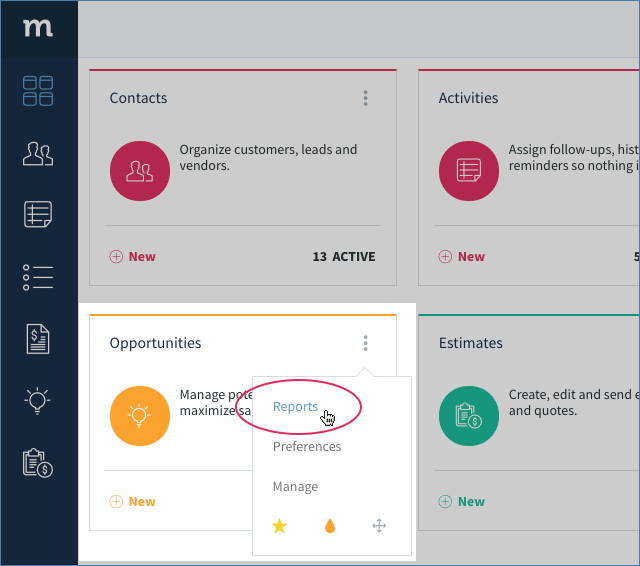 Charts can be accessed by clicking the ellipsis ( ⋮ ) on your Opportunities App and selecting Charts. When you click Charts, this is an example of what you might see (your charts will depend on the data in your Method account). By default, the data displayed is for all users currently assigned opportunities in your Method account. However, you can switch to a display of a single user by clicking Specific User and selecting one from the list. However, in order to show a range of data, the screenshots of these sections will stick with the Shared view. 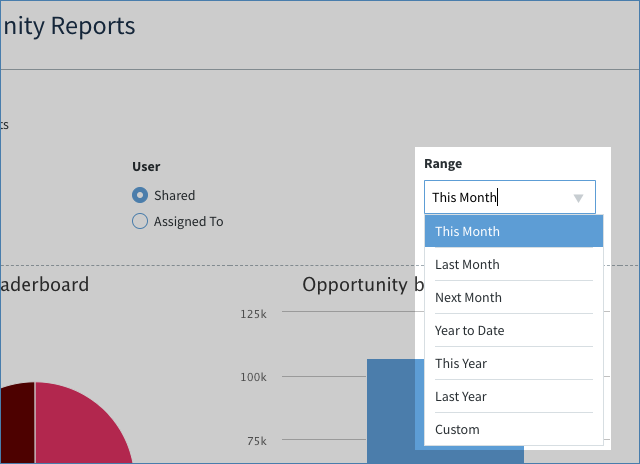 If you click on these parts of the chart, Method opens a list at the bottom of the screen, displaying all opportunities or activities associated with that value. 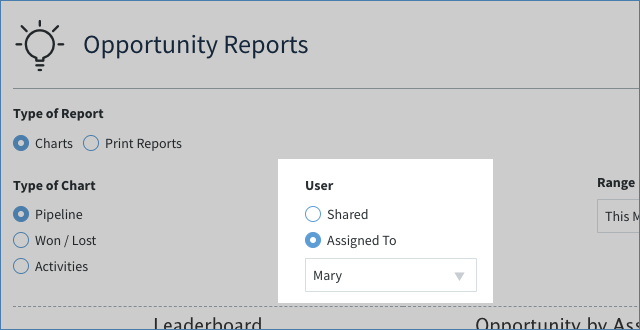 Clicking individual opportunities opens the New / Edit screen for opportunities. What is the pipeline amount? You will notice opportunities that are not yet closed are valued in the charts by pipeline amount. The pipeline amount represents the amount of potential revenue your opportunity is worth, depending where it is in the pipeline. To learn about the Opportunities charts, click here. 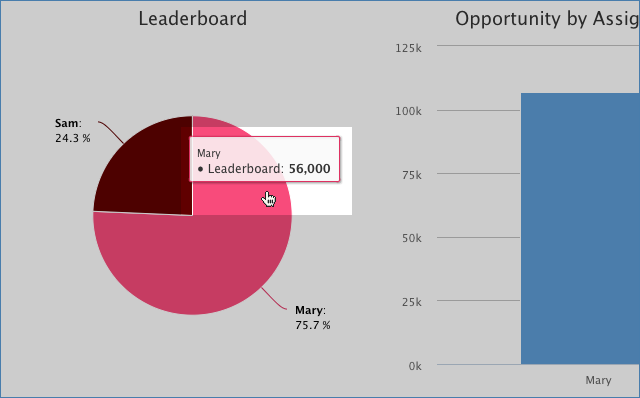 To learn about the Won charts, click here. To learn about the Activities charts, click here. To learn about the Opportunities print reports, click here.